Long gone are the days when basins, toilets and baths were available in iconic 70’s shades. Avocado, mink, peach and pampas with an accent pattern were always popular. Rarely would you see a bathroom suite in a coloured finish, apart from at a reclamation yard! 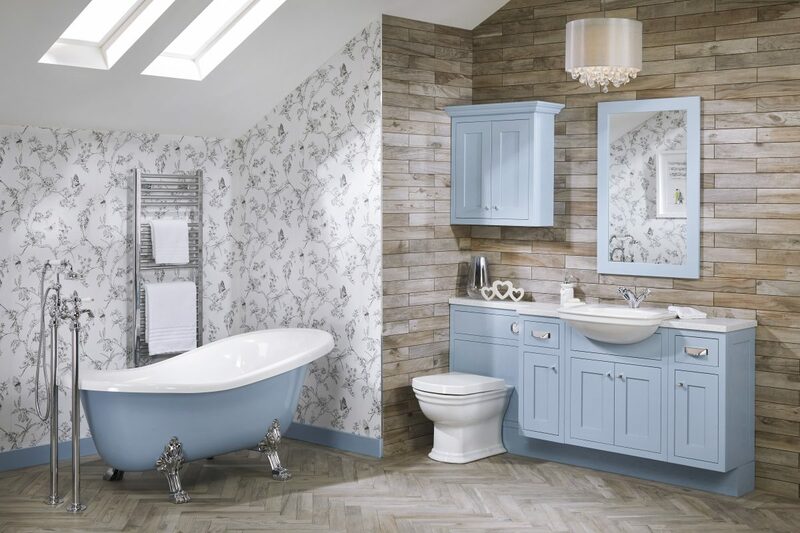 White does provide the perfect basis for a new bathroom and will co-ordinate with every colour imaginable! And whilst white will not show up any lurking bacteria, it most certainly shows up all visible dirt! Whatever the reason for white being so popular today, it gives carte blanche for easily introducing pattern into the bathroom. 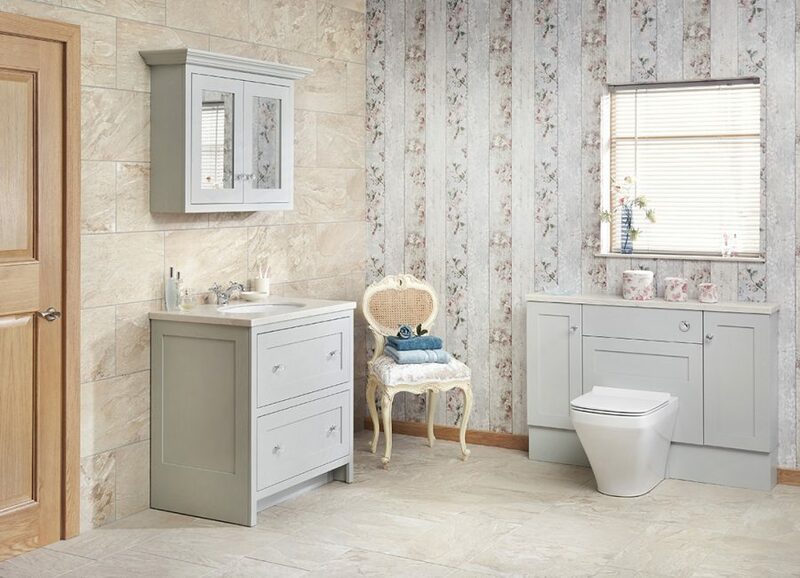 Wallpapering a bathroom may seem like a combination destined for problems, but it shouldn’t be! As long as you choose a vinyl wallcovering, as opposed to a wallpaper, any moisture from by the steam shouldn’t cause any surface damage. 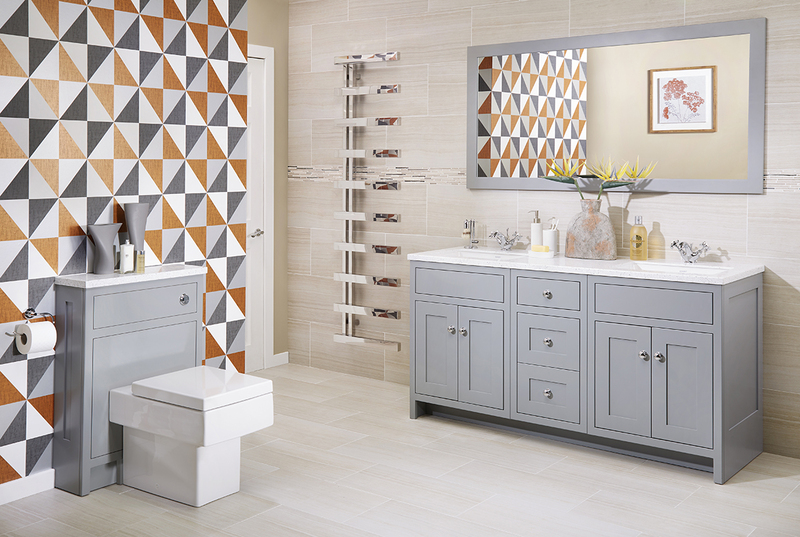 Geometric designs work very well in a bathroom, especially when they introduce a repeat pattern that can emulate the tessellation of tiles. Floral wallcoverings certainly add pattern into a room, softening the overall scheme. 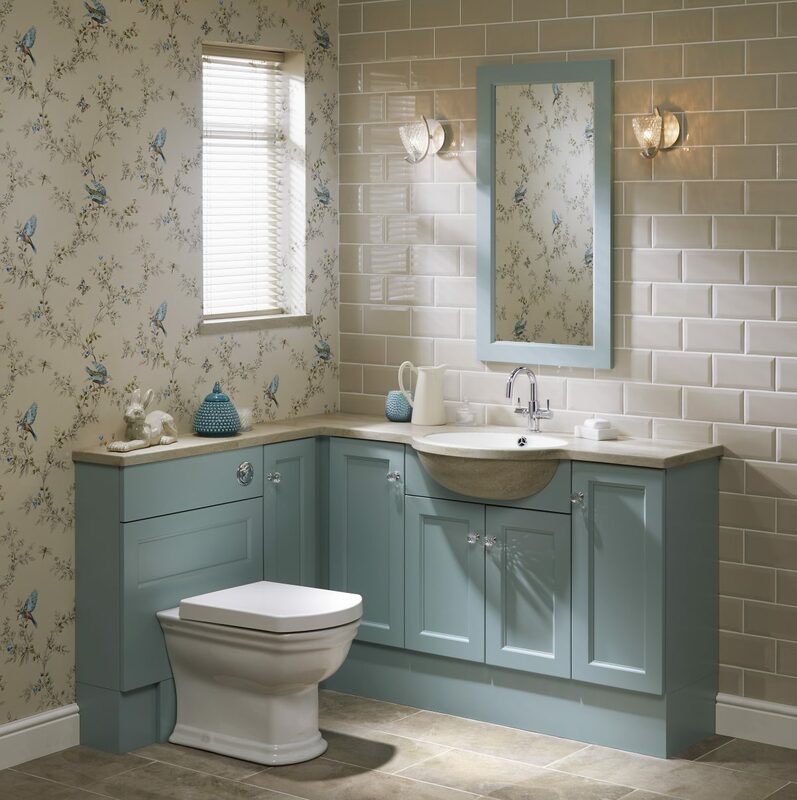 However, as most bathrooms, en-suites and cloakrooms are somewhat compact, it’s important to remember that a larger floral pattern may not work as well as a smaller repeat design. A larger design, that has an oversized repeat simply won’t have the space to be appreciated in a smaller room. 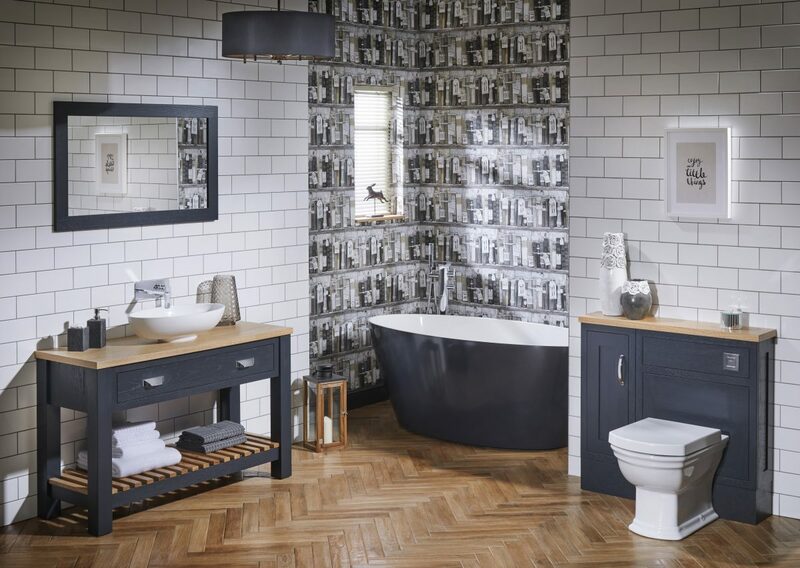 Quirky or ‘different’ wallcoverings can really set the scene in a bathroom. Could there be a better design than book covers on shelves for those who like to relax in the bath with a new novel? 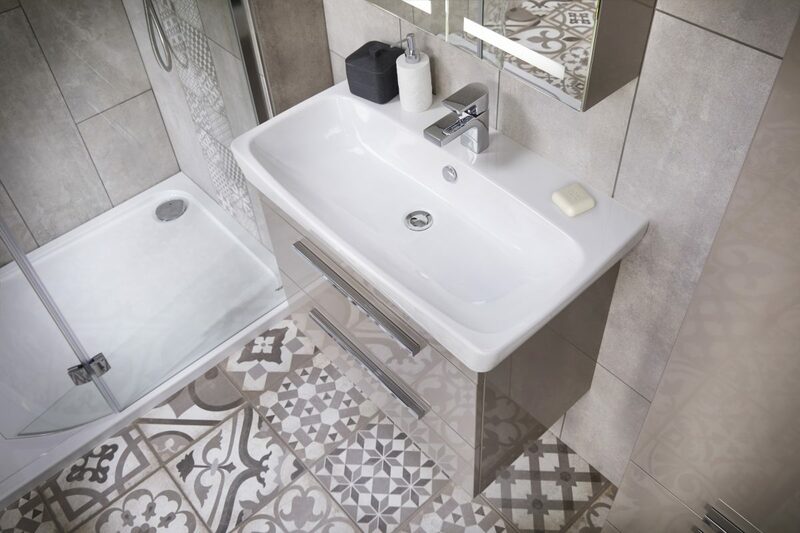 Even if you opt for a plain tile such as the classic metro brick design, the tessellation that you choose to fit them will add pattern in the bathroom. Parquet effect tiles, in a classic herringbone pattern will emulate floor designs of a bygone era. 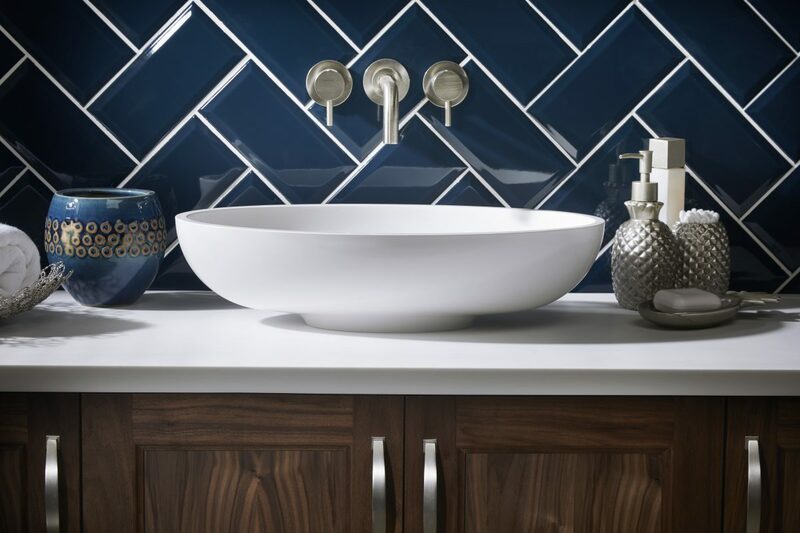 Equally fabulous, a contrasting grout will make high gloss really ‘pop’. As well as having the choice of many tessellations, there are now a great number of surface prints on tiles. The only disadvantage of opting for patterned tiles is if you’ll get bored of them quickly! However you decide to decorate your new bathroom, be sure to remember about storage. After all, there is nothing worse than a cluttered, but beautifully decorated bathroom!